October seems to be the birthday month in our family. Between Mike’s and my family there aren’t too many days that somebody in our families aren’t celebrating a birthday or even a couple of people celebrating on the same day. For example Mike and I have the same birthday which is October 15th; last year we had a great niece born on our birthday. I guess that happens when you come from a big family. The list goes on … my sister Lauri celebrates her birthday on October 31. I made her this chocolate fudge pie for her birthday; plus maybe a little bit for me since I have been craving chocolate of late like there is no tomorrow. It was fun surprising her with a treat for her birthday. My pictures I would say are a little deceiving; the pictures don’t show how creamy and rich the inside of this pie really is. To tell the truth the pie didn’t last long enough to take pictures of an individual piece. 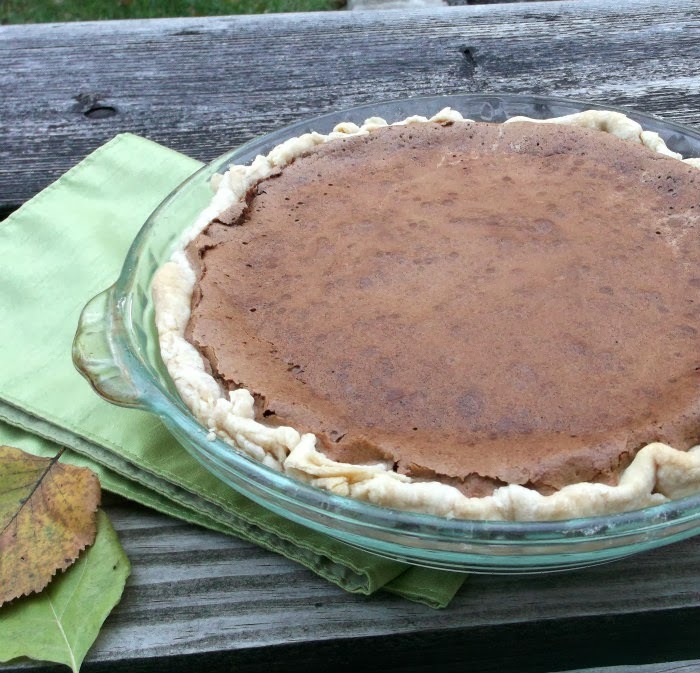 If you like fudge and pie this is a yummy recipe to try. 1. Heat oven to 375 degrees F. Prick crust (bottom and sides) with a fork. Bake until the edges are lightly golden. 2. Reduce oven temperature to 325 F. In a heatproof bowl set over (not in) a saucepan of simmering water, melt the chocolate and butter. 3. Using an electric mixer beat the eggs, salt, and sugar until fluffy, 4 to 5 minutes. Fold a third of the egg mixture into the chocolate mixture, then fold in the remainder. 4. 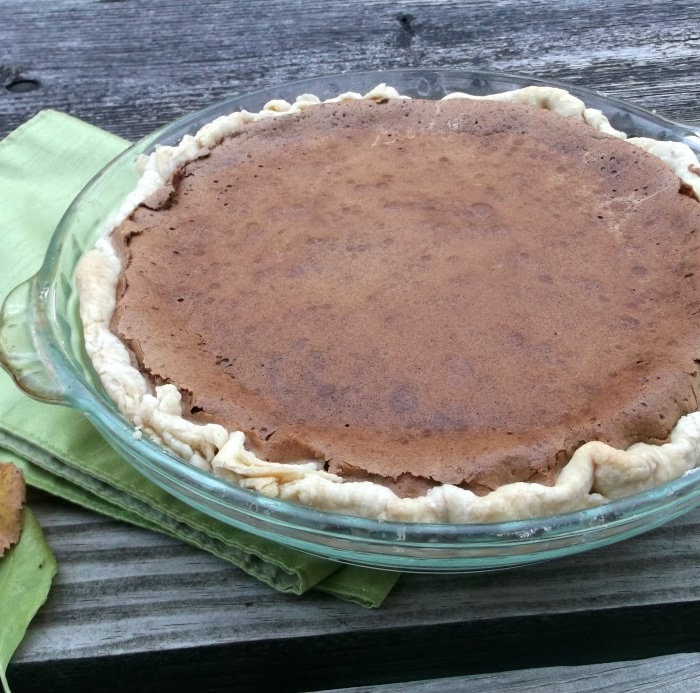 Pour the combined mixture into the crust and bake until puffed and beginning to crack, 20 to 25 minutes. Cool for 1 hour and then chill. 5. 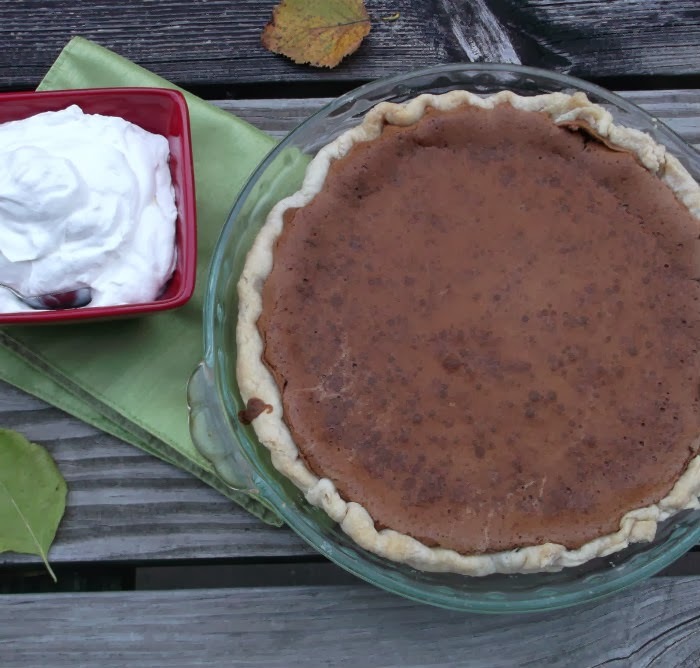 Serve with homemade whipped cream. A pie made entirely out of chocolate sounds like the perfect birthday treat to me! I do, in fact, like fudge and pie so I think this recipe will be a keeper for me. How cool that you and Mike have the same birthday! And what a delish looking pie. Love the idea of this – thanks so much. My chocolate loving family would LOVE this pie. This pie looks delectable Dawn! It is a chocolate lovers dream! It would easily satisfy my sweet tooth.